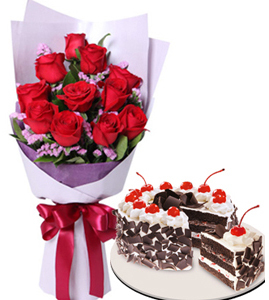 Description: 12 Red Roses in Bouquet with Black Forest Cake Red Ribbon. Regular Size 8'' Diameter-Round. Your purchase includes a greeting card message.